DIY Hair: How to Install Tape-In Hair Extensions? Most would suggest that you go to a hair salon and get your tape in hair extensions put in. Actually, everybody would. But I'm here to tell you that it's possible to do it yourself, and not screw up!! Like Axl Rose said, "all you need is just a little patience." And hey, it was the 80's! He may or may not have been speaking about hair extensions. Seriously though, if you are used to creating things with your hands (sculpting, styling, building, drawing) then this should be easy. 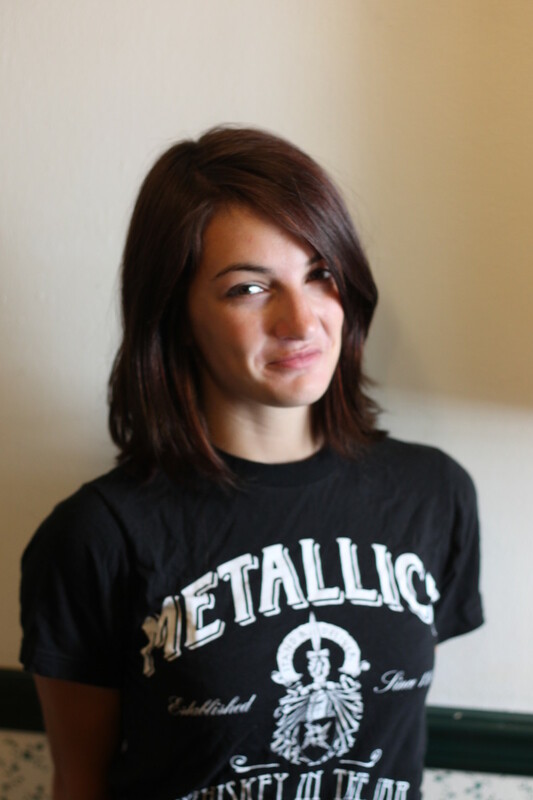 The concept is actually pretty simple - you sandwich your own hair between two adhesive strips of somebody else's hair! 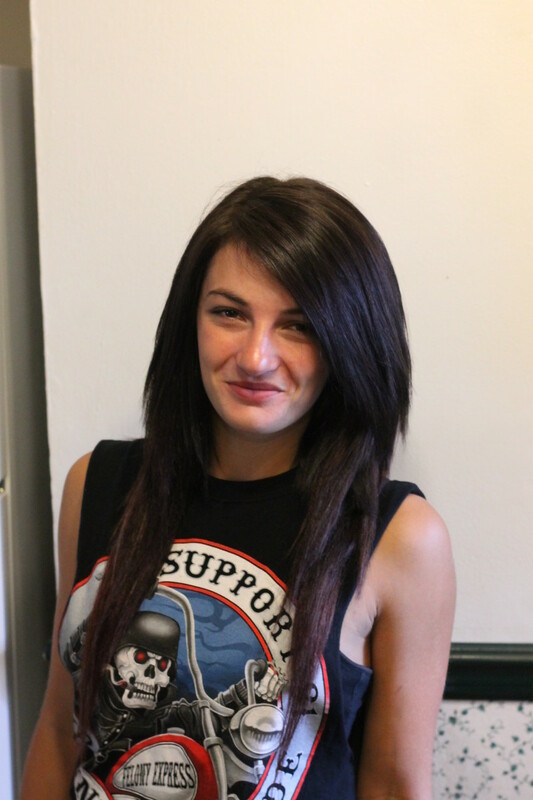 If you're just somebody looking for what sort of extensions to try out, visit hair extensions page. If you've already purchased tape-ins, let us continue with the instructions! Use a friend. Not mandatory, but it will definitely be quicker and easier if you have another set of eyes and hands. If you don't have any friends (sadface) you can use two mirrors to see the back of your head and do it yourself. Be aware of placement. You don't want to put your extensions too close to the edge of your scalp (by your face and stuff), lest they be seen. Also avoid putting them too high up towards your part! Sticky to sticky. 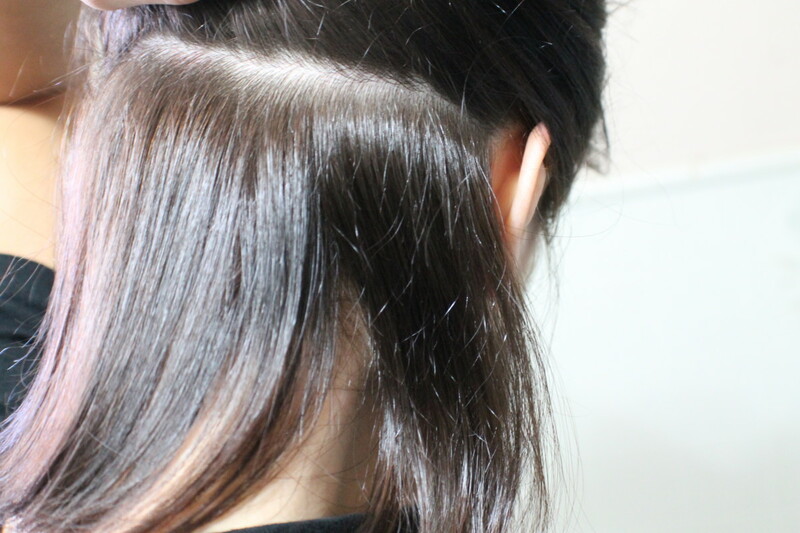 You're going to be sandwiching a layer of your hair between two tape in hair extensions. Make sure the sticky bits from the top and bottom extension are touching each other, for maximum adherence. Make sure your mop is clean before you try and stick stuff to it. Wash and dry your hair completely before starting. That way, your tape in hair extensions will last longer! If you have dirty hair when you're trying to adhere the wefts, they'll come out quicker, usually at the worst time possible. Like when you're standing with your friends and running your fingers through your hair, and suddenly a giant patch comes out in your hand. Start with a clean head of hair and a worried look! It's easiest to start from the bottom of your scalp and work your way up. Start your first row an inch or two up from the bottom of your scalp. Using a comb, part your hair evenly. Pull the top half up and secure it, leaving the bottom half hanging down. Notice how "very" is emphasized. 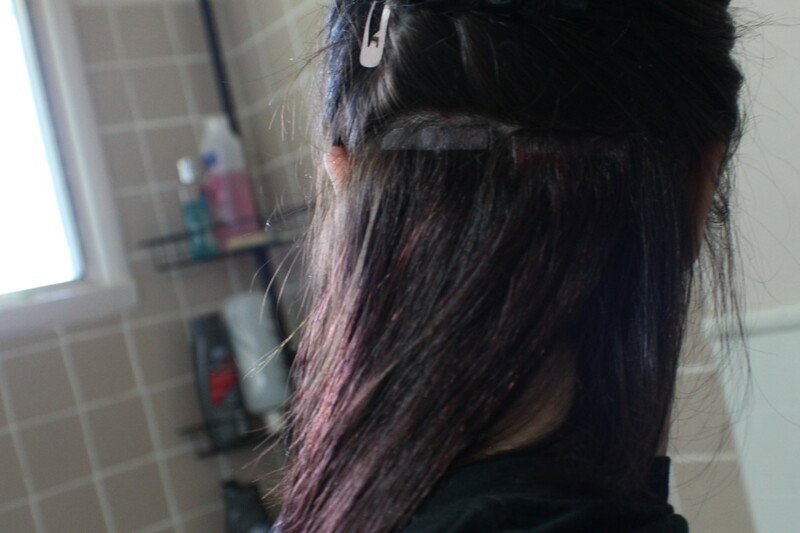 This section of hair is going to be sandwiched between two tape in hair extensions. It's important that the adhesive "tape" on the top tape extension touches that of the bottom tape extension, so that the two stick together. Use your comb to get a nice even section, that is as wide as one of your extension wefts. EVEN THINNER than this! It's hard to maneuver a camera and hair at the same time. 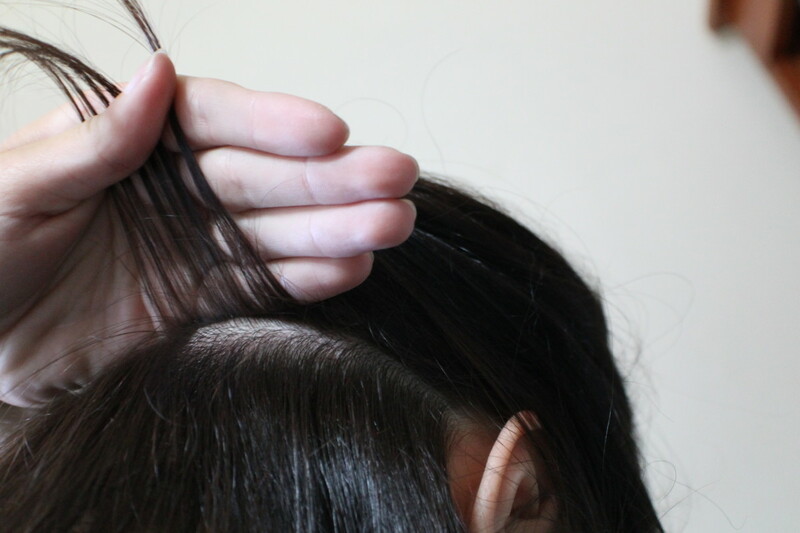 A good way to tell if your section is thin enough is attach the bottom extension in place, flush against your scalp. 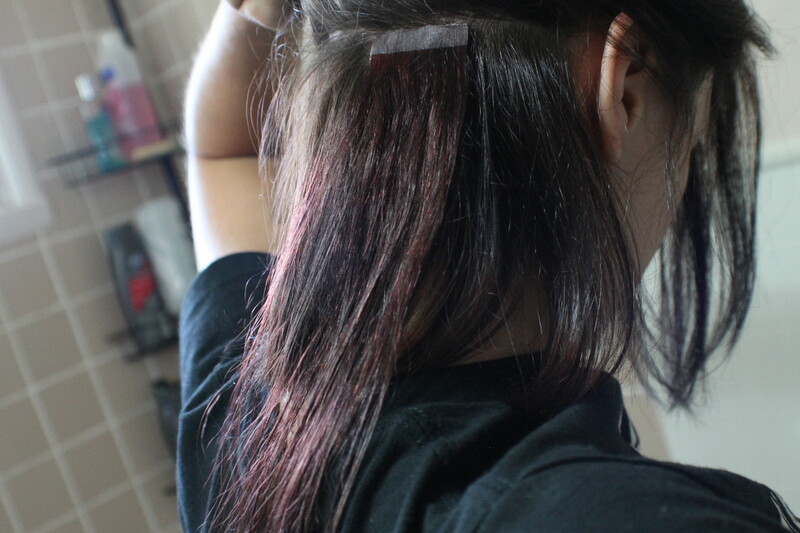 Once you've done that, use your finger to see if you can feel the stickiness of the tape through your own layer of hair. If not, use your comb to carefully pull some of your hair off of the tape. When you can feel the sticky, attach the top tape hair extension. Press the top and bottom wefts together firmly, for about 20 seconds. Just make super extra sure that they're stuck to each other, so water won't get between them while you're showering and make them come out. You'll get the hang of it as you keep working. As mentioned earlier, don't put the wefts too close to the edges of your scalp - then everyone will see where they attach, and they'll know you're a fraud! This is going to take forever - I got it done in about two hours. But, I was also working by myself. If your hair is a bit longer than mine, and already layered, you shouldn't have problems blending your hair into your new hair extensions. However, if you have a short blunt cut, you're going to have to do some trimming. 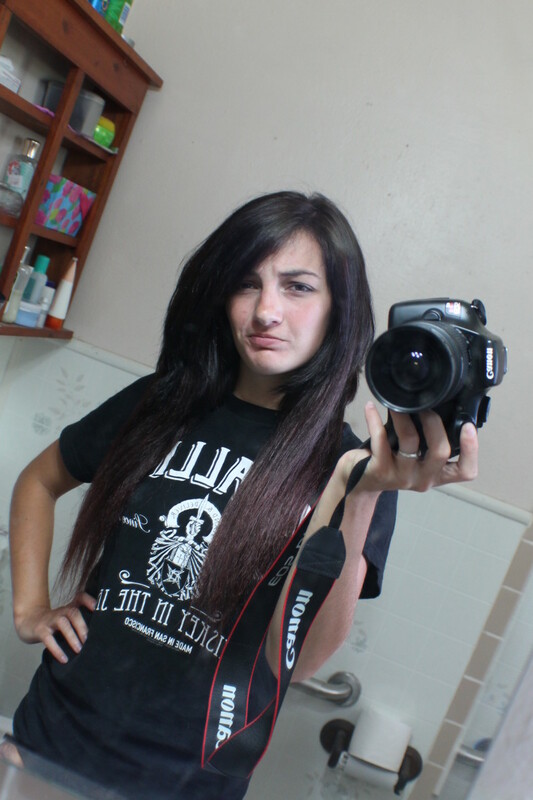 As you can see below, long hair extensions and short hair look stupid. You may want to see someone for the cutting aspect - but again, if you're good with arty things then you can probably cut your own hair. I've been doing it for ages, and it seems to be a lot like sculpting. 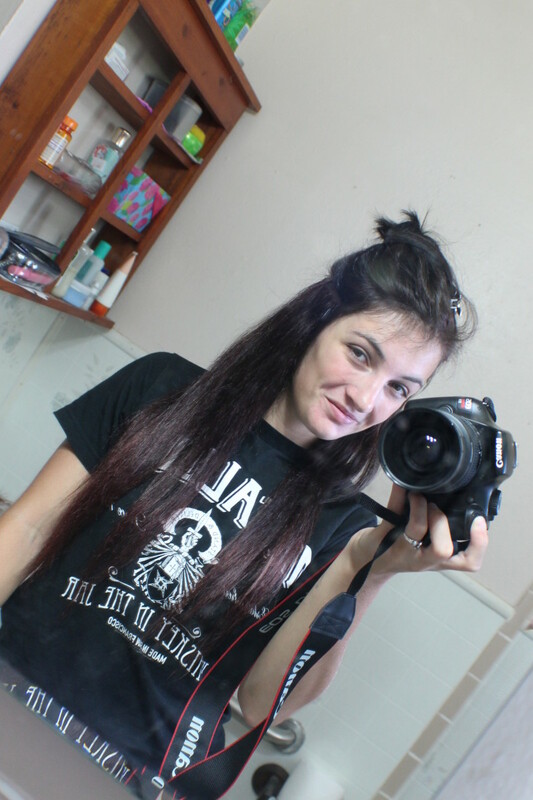 What I did was layer the extensions, so that the length of my hair faded in nicely to my 20-inch extensions. I ended up looking super-scene when finished. This hairdo worked so well when curled, and it helped my hair to blend into my hair extensions better. If you have a short blunt haircut, you'll notice that some of your hair will stick out from underneath your bottom layer of extensions, totally giving you away. Take all of these short hairs and bobby pin them to your scalp, so they won't be seen under your longest layer of extensions. If you want to wholesale tape in hair extensions, please visit tape in hair extensions to know more details, which Hera is the best tape in hair extensions manufacturer and wholesaler in China.